← gluten free and dairy free sandwich bread – it’s awesome! Remove roast from crock pot. Let rest on your counter, covered, for 10 minutes. Slice the roast and serve with the onions and drizzled with the jus from the crock pot. 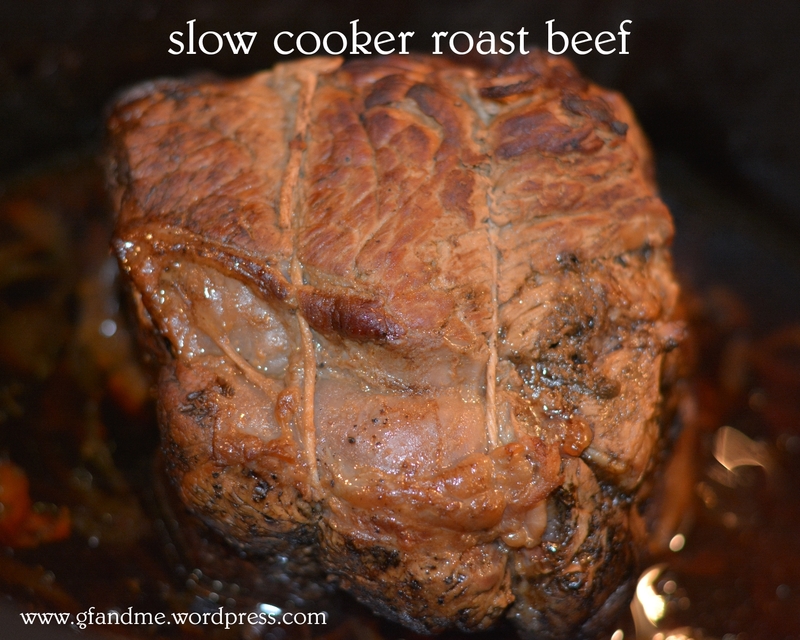 This entry was posted in Lunch and Dinner, Recipes and tagged beef, gluten free, Slow cooker. Bookmark the permalink. eith one of the roasts I got at Costco. Looks wonderful. I will have to try it. Hey, you should keep doing slow cooker recipes, because I have one and I would love to find ways to use it! 🙂 Thanks for this recipe!